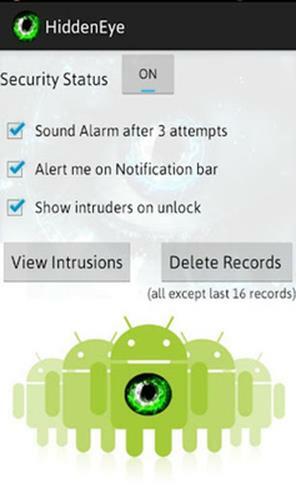 HiddenEye Plus uses your smartphone’s camera in self-defense: This app photographs any person who tries to unlock your phone. Kryptos uses 256-bit AES encryption to encrypt voice communications before transmission (using 2048 bit RSA for key exchange). Provides VoIP connectivity for secure calls over 3G, 4G and WiFi. 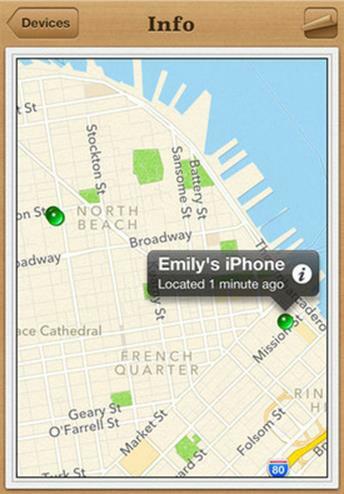 If you misplace your iPhone, the Find My iPhone app will let you use another iOS device to find it and protect your data. Locates the missing device on a map, plays a sound, displays a message, remotely locks the device and/or erases all the data on it. 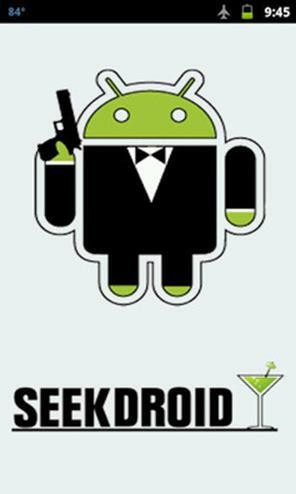 SeekDroid (similar to Find My iPhone) allows the user to locate a lost or stolen Android device. 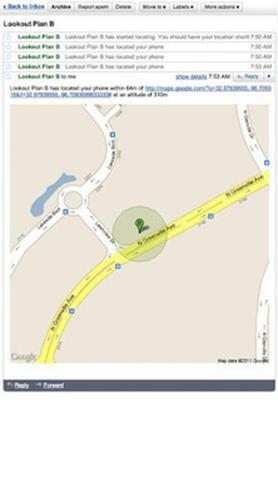 Features device location on a map, remote audible alarm, remote wiping of the device, remote tracking and GPS. Plan B is a find-my-phone app that you download AFTER you lose your phone. Described as a “last resort” to find a missing phone, allows the user to locate their lost device using cell towers and GPS. On some phones, Plan B can switch GPS on automatically. 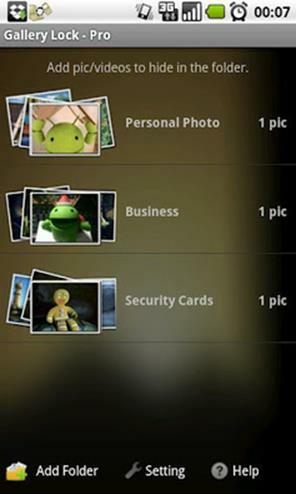 A private storage solution for photos, videos, contacts, notes, credit cards and passwords. Features secret website bookmarks and private navigation system without history tracking, a “decoy” storage area to trick nosy intruders, and encrypted storage for credit card and other data. Gallery Lock provides privacy for picture and video files by hiding them in individual, password-protected folders. 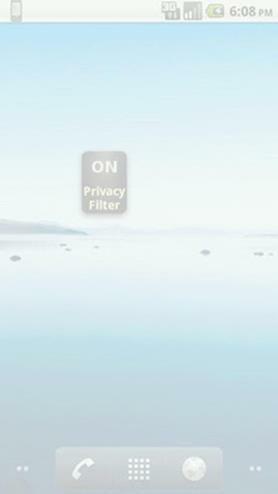 Privacy Filter blocks the screen from prying eyes glancing at the device from the side. A sensitive-data vault that stores personal information (such as web logins, credit cards, PINs, and email settings) using 256-bit encryption. Norton Snap is a QR code scanner that warns the device user about dangerous QR codes, and blocks unsafe Web sites before they load on the device. 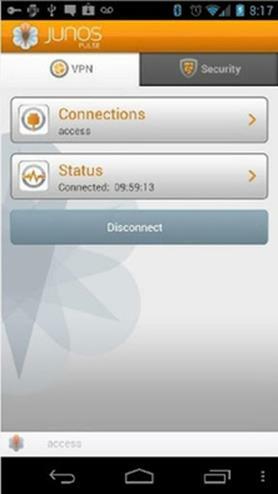 Famous from the PC space, Avast also offers this antivirus and anti-theft Android security application. 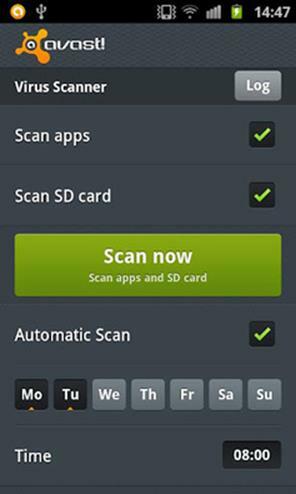 Includes scanning of installed apps and memory card content on demand. 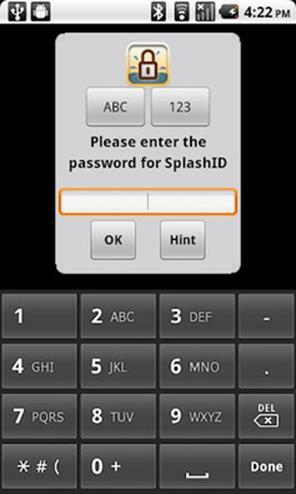 Also features a privacy report, which scans and displays access rights and intents of installed apps, as well as anti-theft components that give the user remote control via SMS or Web to lock, locate, siren, memory or wipe the device. 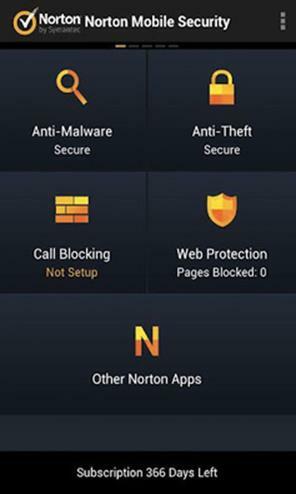 The Android version of this app includes antivirus and blocks malware, spyware, and trojans and scans each app downloaded. Both the Android and iPhone versions feature a find-my-phone component, which locates a lost or stolen phone on a Google map and activates a loud alarm, even if the device is on silent. 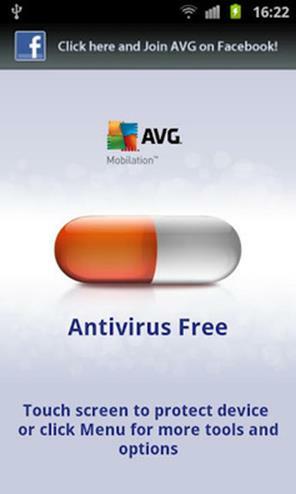 AVG’s version of antivirus for smartphones detects harmful apps and text messages. Features include scanning of apps, settings, files, and media in real time, location of lost or stolen phone via Google Maps, lock and wipe device to protect privacy. Security, antivirus, antitheft protection. Includes automatic antivirus scan for downloaded apps and app updates, keystroke logging protection, remote lock and wipe, find-my-phone phone locator, and a “scream” locator that lets the user send a text to the missing phone, which sets off a scream alarm. 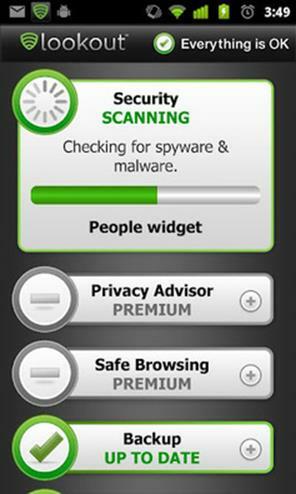 Security and antivirus protection against from virus, malware, spyware, trojans and phone hacking. 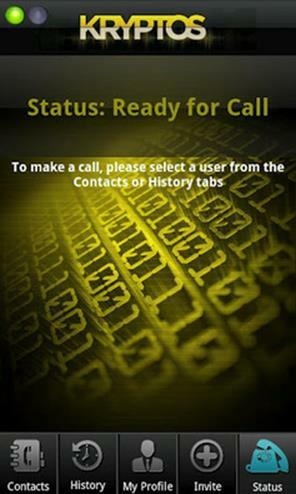 Features include: antivirus, anti-harassment, privacy protection, phone locator, data backup, safe browsing and traffic. 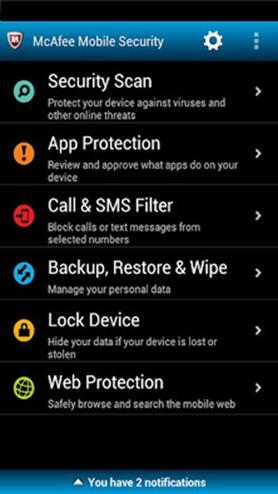 McAfee’s version of protection for the Android; features antivirus, anti-theft, safe mobile surfing, app protection and call and SMS filter. Other features include remote device lock, locate and track. 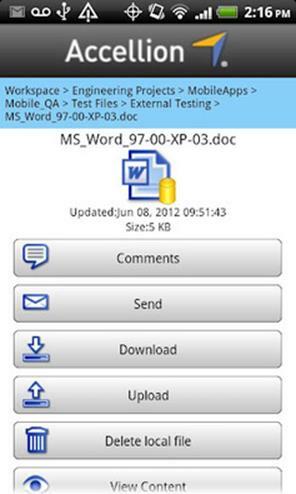 Allows business users to work on enterprise content by providing secure mobile access to files. Features: Securely browse, view, edit, save back, upload, send, and share files and folders on-the-go. Participate in real-time collaboration by opening, editing, and saving back Microsoft Office file types through Quickoffice. Junos Pulse secures connectivity to corporate web-based applications via Juniper Networks SSL VPN gateways. 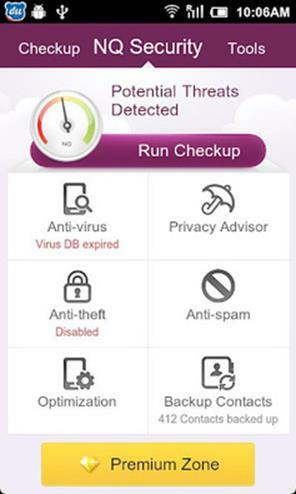 Also delivers mobile security against malware, viruses, and spyware, as well as from device loss or theft, preventing device damage, and loss and exploitation of sensitive user or corporate data. 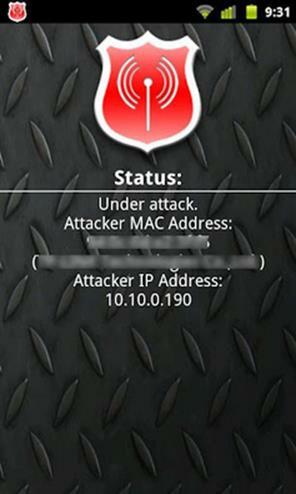 Guards against WiFi sniffing attacks by detecting Address Resolution Protocol (ARP)-related attacks, such a DDOS (Denial Of Service) or MITM (Man In The Middle). Protects the phone from tools like FaceNiff, Cain & Abel, ANTI, ettercap, DroidSheep, NetCut, and others that try to hijack sessions via “Man In The Middle” through ARP spoofing / ARP poisoning. Automatically moves confidential SMS and call logs from private contacts into private space and hides the normal track on your phone. Notifies of private space status secretly. Private space is password protected. 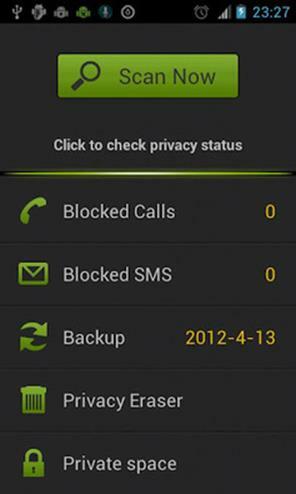 Also blocks unwanted SMS using keywords specified by the owner.